The latest State of the Air report by the American Lung Association is once again damning for California. The most polluted cities in the country are in California (see below), measured by ozone, year round particle pollution, and short-term particle pollution. But actually, we are continuing a pattern of improvement. According to the authors, Los Angeles experienced its best three-year period since the report began 16 years ago, dropping more than one-third of its average number of unhealthy air days since the late 1990s. The US Energy Information Administration also today released data that shows energy consumption in the US has slowed recently and is not anticipated to return to growth levels seen in the second half of the 20th century. EIA's Reference case projections in the Annual Energy Outlook 2015 show that domestic consumption is expected to grow 0.3% per year through 2040, less than half the rate of population growth. Energy used in homes is flat, and transportation consumption declines slightly, meaning that energy consumption growth will be concentrated in US businesses and industries. This tells us that all the energy saving measures we have in place are working...but we still have work to do, especially in commercial and industrial sectors. 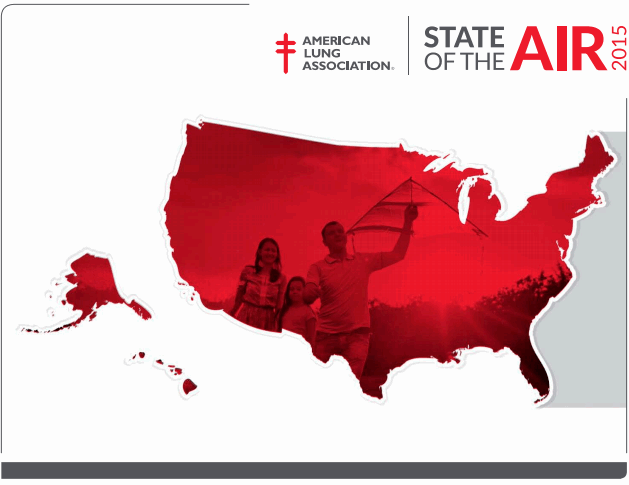 This should be our annual call to action from the American Lung Association, especially in California, but we should be buoyed by the fact that our efforts are paying off. The dividend is cleaner air for our families to breath - we just have to keep going.